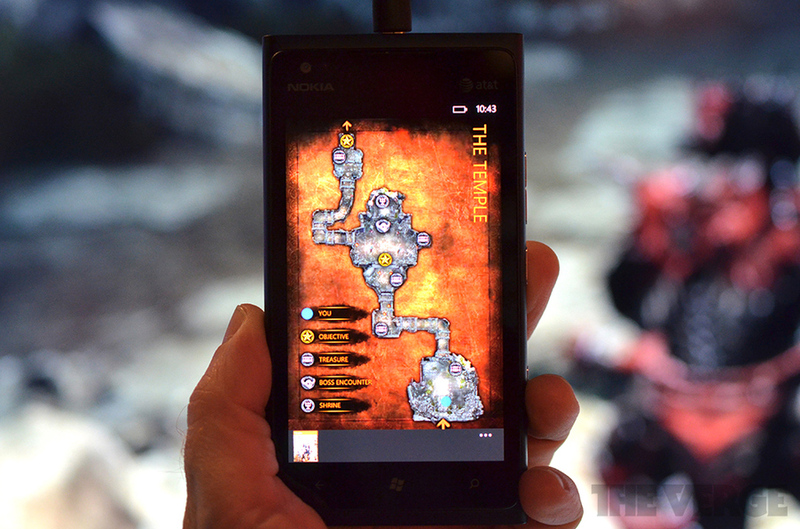 At E3 2012, Microsoft announced a new additional screen technology by the name of Xbox SmartGlass. The technology is based on the idea of being able to use the tablet and smartphone “you already own” to extend your Xbox 360 viewing experience. Of course, Windows Phone is a Microsoft product and will be heavily involved in all the features Xbox SmartGlass will bring to the table, same with all Windows 8 tablets. We will only go into details on the Windows Phone side of Xbox SmartGlass, but feel free to visit any source links for more information. Users with a Windows Phone already have an idea of what Xbox SmartGlass will initially do, through the Xbox Companion application which provides information on the content you are watching on your Xbox 360. In fact, at the moment, the Windows Phone Xbox SmartGlass application looks practically identical to the current Xbox Companion app. It is most likely that Xbox Companion will become Xbox SmartGlass simply by name, once the technology releases simultaneously to all supported platforms. In examples, such as watching Game of Thrones on your Xbox 360, you are granted access to “activities” on your tablet/Windows Phone related to the current episode. Very similar to the currently available “interactive content” currently available within the HBO Go application on tablets. Using Xbox SmartGlass on your Windows Phone, you will be able to perform all the same actions as any other device using the Xbox SmartGlass technology. The only difference between something such as a Windows 8 tablet and a Windows Phone both using Xbox SmartGlass would be the physical screen display. Microsoft is referring to the Xbox SmartGlass technology as a platform, with dedicated teams in place to solely work on Xbox SmartGlass. Thus, Microsoft will also release Xbox SmartGlass-specific content through partners, television media companies, and even games.